this is because of the fear and privacy problems and misuses. 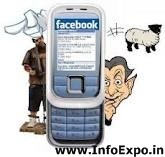 By not adding mobile number to facebook profile, the users are losing lot of facilities such as facebook text alerts, login alerts, mobile apps etc, provided by facebook. So i'm introducing the new trick of adding invisible mobile number to your facebook profile. Click on add phone number. Enter your phone number and proceed. After submitting your number you will receive an code from facebook. Enter this confirmation code in the confirmation column and confirm. 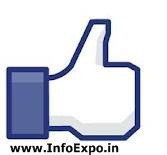 Thatz it , Mobile number is successfully added. Go to Edit profile option. From there also you can add mobile number. On the right side of the added mobile number, you can find the option for visibility which is marked with red in the below picture. Click only me option for complete hide from all others. Then save it the new changes..
Thatz it now u can see the mobile number on your profile but your friends and others can't see it ........ thatzzzz the magic.